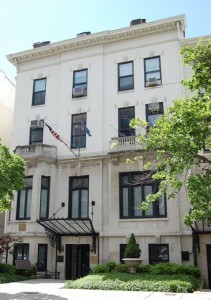 GFWC Headquarters is a National Historic Landmark located at 1734 N Street, NW in Washington D.C. The building became GFWC’s official headquarters in 1922, and its historic Victorian style has been maintained through generous contributions from members and friends. 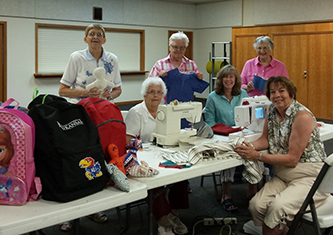 Headquarters serves as the working offices for the GFWC International President and staff, but it is so much more. It is also the home of the Women’s History and Resource Center, which collects, preserves, interprets, and promotes the history of the GFWC and women volunteers. 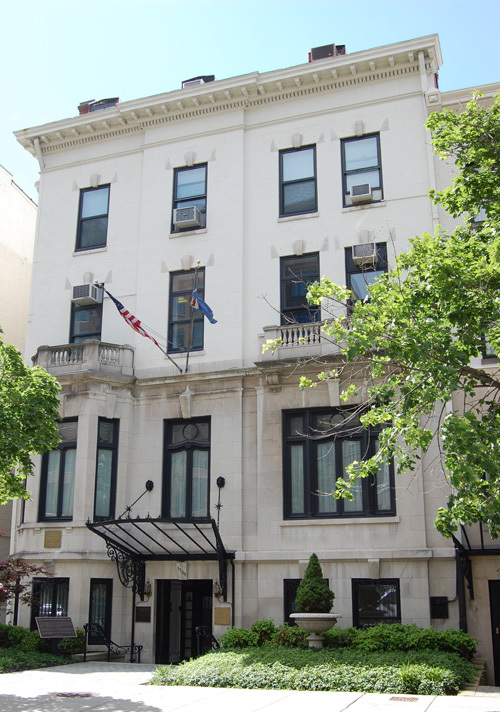 Headquarters is the literal home to the GFWC International President during her two-year administration, with residences occupying 1734’s upper floors. 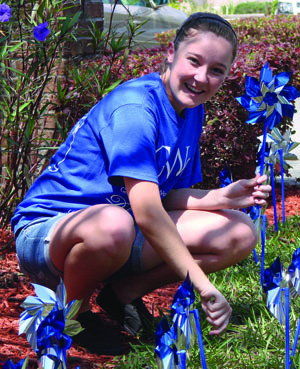 Headquarters serves as host to events, such as the annual Women’s History Month event and Holiday Open House, and the property houses the popular Iron Gate Inn Restaurant. Finally, as a National Historic Landmark, GFWC Headquarters is a snapshot in time. The beautifully decorated rooms, furniture, and historic collections are certainly worth a visit! In 1901, the 56th U.S. Congress granted GFWC a Federal Charter, which stipulated that it maintain its headquarters in Washington, D.C. GFWC maintained temporary war service and editorial offices in the nation’s capital during WWI, and in 1920 adopted a resolution to establish permanent headquarters there that would “be commensurate with the dignity, size and influence of the organization.” In 1922, GFWC clubwomen purchased 1734 N Street NW in the fashionable Dupont Circle neighborhood, acquiring an elegant mansion complete with its former owners’ colorful stories. Retired Rear Admiral William Radford (1808-1890) built the grand home at 1736 (now 1734) N Street NW in 1875, when the neighborhood’s central feature was known as “Pacific Circle.” It would not be identified as “Dupont Circle” until 1884 with the erection of a statue memorializing Rear Admiral Samuel Du Pont. The Radfords lived in the home for several years; in one of Washington society’s most notable events, Admiral Radford’s daughter Sophia married Russian diplomat Vladimir de Meissner in the family home in 1878. General Nelson A. Miles (1839-1925), who achieved military notoriety in the American Civil War and Indian Wars, was the home’s next owner. In late 1895, soon after Miles’ transfer to Washington to assume command of the U.S. Army, “The General Miles Testimonial Association” organized in New York to raise funds toward the purchase of a home for him in the capital city. The Washington Post later reported that about $40,000 was collected for the purchase of 1736 N Street NW. General Miles used the long gallery over the carriageway, which was adjacent to his library, to display the many artifacts he had collected during the Indian Wars, “a veritable museum of historical and ethnological objects” according to a February 1899 New York Times feature story on the home. 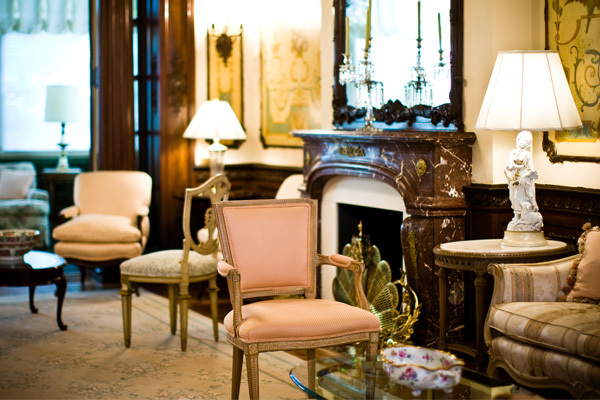 The Whites leased the home to Uruguay for its legation during World War I, and to the new nation of Czechoslovakia after the war, before selling it to GFWC in 1922. 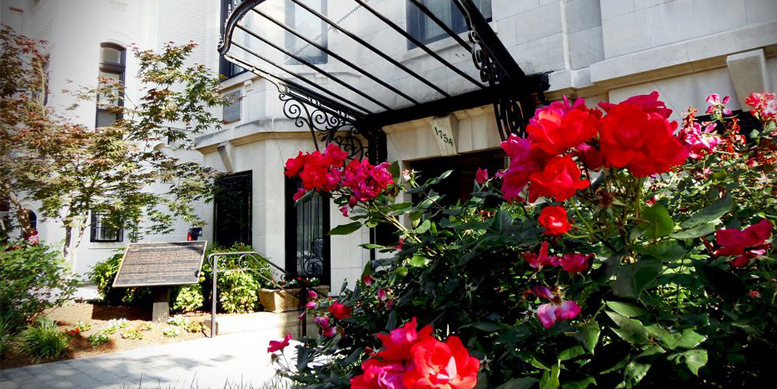 GFWC Headquarters was named a National Historic Landmark in 1991.